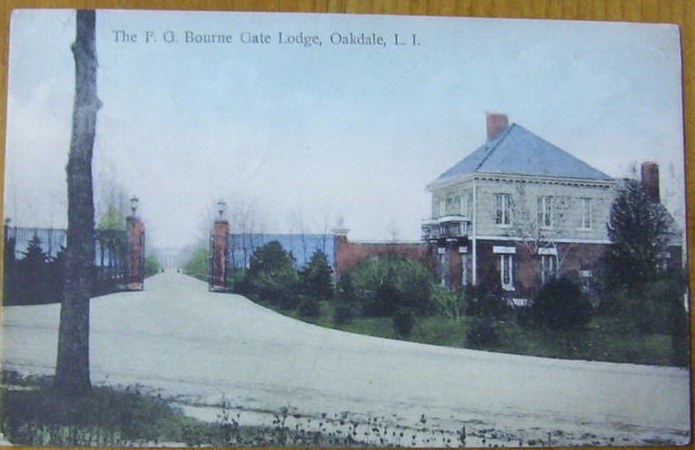 The front gate and cottage to 'Indian Neck Hall', the F.G. Bourne estate designed by Ernest Flagg c. 1897 in Oakdale. Click HERE for more on 'Indian Neck Hall'. For such a grand estate, that was certainly a modest gate house.